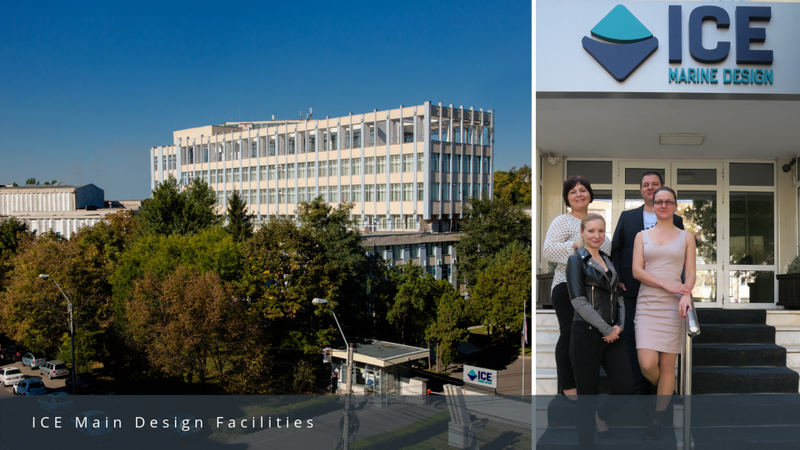 In response to increasing demand for its services, ICE has throughout 2018 been increasing the number of employees in Galati, Romania. With upcoming contracts with existing and new customers, ICE needs additional experienced naval architects and engineers and has strengthened its HR department to handle the new recruitment. The Department is headed by Cristina Bahna, who was recently promoted to HR Manager. Cristina has been working for ICEPRONAV for 12 years, most recently as HR Specialist. She is assisted by Viorica Buda, Silvia Bors and Robert Calin (pictured here). ICE offers varied and interesting ship design work in an international environment, with the opportunity of short-term assignments to clients around the world. Whereas current design work is focussed on cruise vessels, ICE is also active with conceptual, basic and detail design of ships and platforms for the offshore energy industry, naval and coast guard ships, and a wide range of commercial ships. The Company uses state-of-the-art IT systems and is located in modernised air-conditioned offices with canteen facilities and ample parking. Salaries and other conditions are competitive. ICE welcomes CVs sent to humanresources@icepronav.ro.